This recipe for Slow Cooker Chicken Noodle Soup is rich and filling but requires nothing to be done outside of the slow cooker. Cozy up with a cup for dinner – or very large bowl – and let it keep you warm all winter. Needless to say, feeding my herd healthy meals has been harder than normal. We have had lots of simple dinners and more than a little boxed cereal for breakfast. And lots of things I could stand up, throw in the crockpot, close the lid and lay back down. Praying that chicken Soup really is good for the soul and it does cure all that ails you, this easy Slow Cooker Chicken Noodle Soup recipe was born – not out of cooking finesse or creativity – but from the fact that I could buy most of the ingredients in the over-priced, pre-chopped veggie section in the closest grocery store’s produce aisle allowing me to return to my comfy chair and binge watching Homeland. I will admit that I cheated a little and added turkey broth that had been hanging around my freezer since last Thanksgiving. I always make turkey broth ahead of the holiday season so I am never without the good stuff for the cornbread dressing. Generally I turn my leftover turkey bits into broth after the holiday and freeze it for soups through the year. If you have never made your own broth, don’t be scared. It is also all done in the slow cooker. 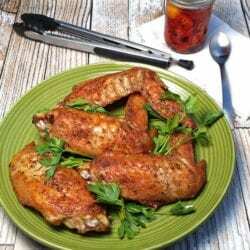 You can check out this recipe for Turkey Wings for an easy weeknight meal, it includes how to turn your leftovers from that meal into a rich broth to get you ready for Thanksgiving cooking. Leftover chicken works just the same. 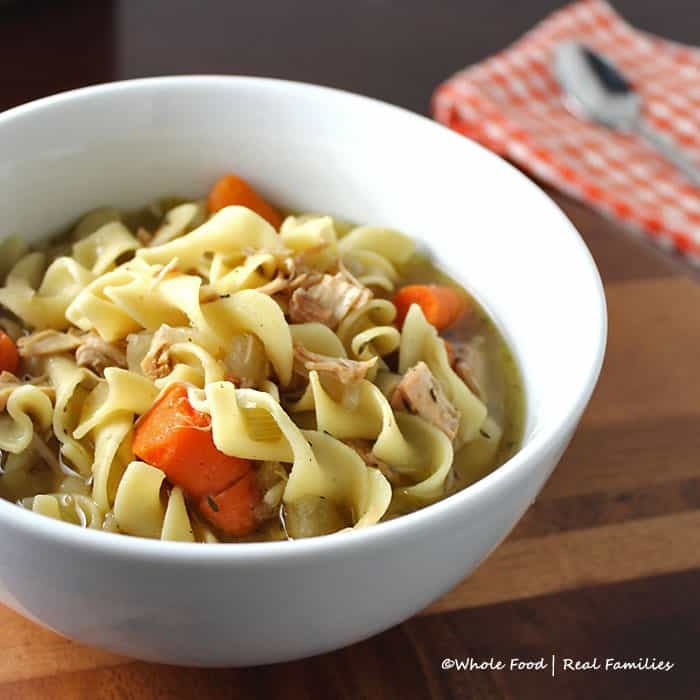 We often make whole chicken in the slow cooker for one meal, make broth overnight in the slow cooker, then make soup from the broth for dinner the next day. Two meal, one crockpot cleanup, WIN! 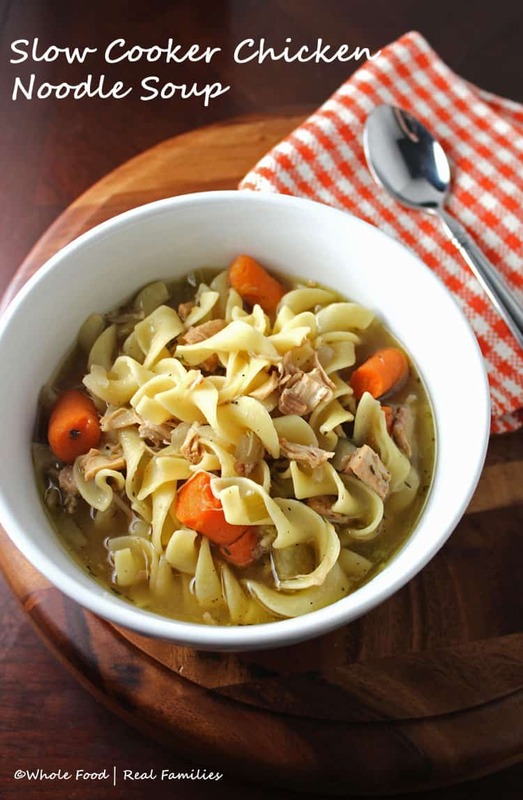 Thick chicken noodle soup recipe is in competition for one other for the slot as my favorite soup meal of all time. Fresh Tomato Soup from garden tomatoes is easy to make and tastes more magical than anything you will ever get out of a can… and I like canned tomato soup a LOT! Turn large slow cooker on high. Add olive oil to the bottom of the bowl. Add uncooked chicken thighs and breast. Add chopped celery, onions, and carrots. Add salt and pepper, add thyme and bay leaves. Pour chicken broth over the chicken, vegetables and spices and cook on high for 4-6 hours or on low for 6-8 hours. Remove whole chicken pieces from the slow cooker, dice or shred based on your preference, return to slow cooker. Discard bay leaves. Just before you are ready to serve the soup, add egg noodles and stir them in. Recover the slow cooker and allow the noodles to cook for the amount of time listed on the package. Sounds like a nice easy recipe. Is there a reason you don’t brown the chicken before adding it to the pot? How many cups of dry noodles do you add? I use a 12 oz package. I love chicken soup, especially for my sick little ones. I will definitely be trying this. I love serving Chicken Soup during the winter. This recipe looks delicious! I need to make me some and get it in the freezer for the next round of sicknesses.